Congratulations to RadioShack stores in Perry, FL (22A205) and Little Rock, AR (01-8447) for winning the Call2Recycle awards for rechargeable battery recycling by RadioShack Dealer and Corporate stores, respectively. From July 2011 through June 2012, Perry, FL returned 441 lbs while Little Rock, AR returned 1,858 lbs. Stores in districts 0581 and 0241 collected awards battery recycling by corporate and dealer/franchise district, respectively. By leading the way in rechargeable battery recycling, these stores have not only done their part to divert hundreds of pounds of batteries from the landfill, but they also have given their customers even more reasons to choose their stores as the best destination for electronics. 0581 DM Rick Bendig receives the award for highest collecting (8,449 lbs) Corporate district from Call2Recycle’s Joe Bittner. Left to right…0506 RSD Dana Smith, 0583 DTSM Courtney Ewing, 0583 DM Kimberly Burton, 0581 DM Rick Bendig, 0594 DM Ken Harvey and Joe Bittner, Call2Recycle. 0351 RSD Jim Romero accepted on behalf of Store 01-8447 in Little Rock, AR (Store 01-8447 also won in 2011) with Joe Bittner, Call2Recycle. 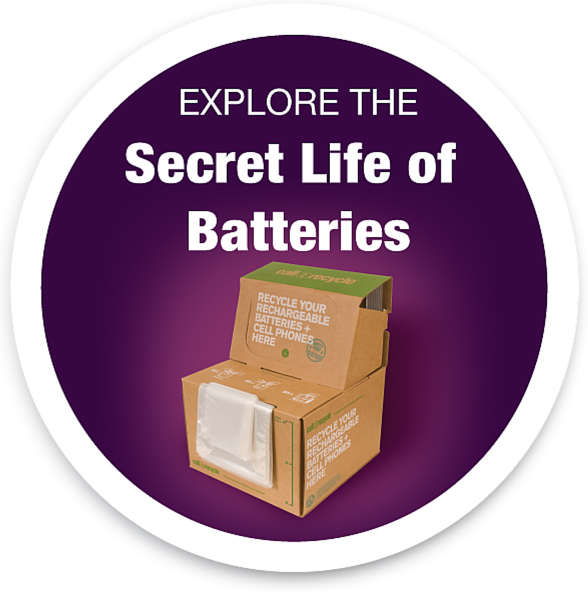 Store 01-8447 collected 1,858 pounds of rechargeable batteries from July 2011-June 2012. 0241 DM Joseph Withrow (left center) and Sales and Support Specialist Aulstin Gardiner (far left) were recognized for the highest collecting (2,719 lbs) Dealer/Franchise district by Joe Bittner and Donny Rolader (right center and far right, respectively) from Call2Recycle.